All Huntly homes currently listed for sale in Huntly as of 04/25/2019 are shown below. You can change the search criteria at any time by pressing the 'Change Search' button below. If you have any questions or you would like more information about any Huntly homes for sale or other Huntly real estate, please contact us and one of our knowledgeable Huntly REALTORS® would be pleased to assist you. "Weekend retreat or full-time peaceful living at end of the lane. Lots of room for Big Boy Toys with an a amazing, secure equipment shed enclosed by custom-made doors, detached 2-car garage with shop and a real man cave with HVAC, fridge, hot water, bathroom, and TV. Detached, oversize 3-car garage with shop and storage room across the driveway from the home. Mostly wooded property boasting views, a stocked pond, and creek. 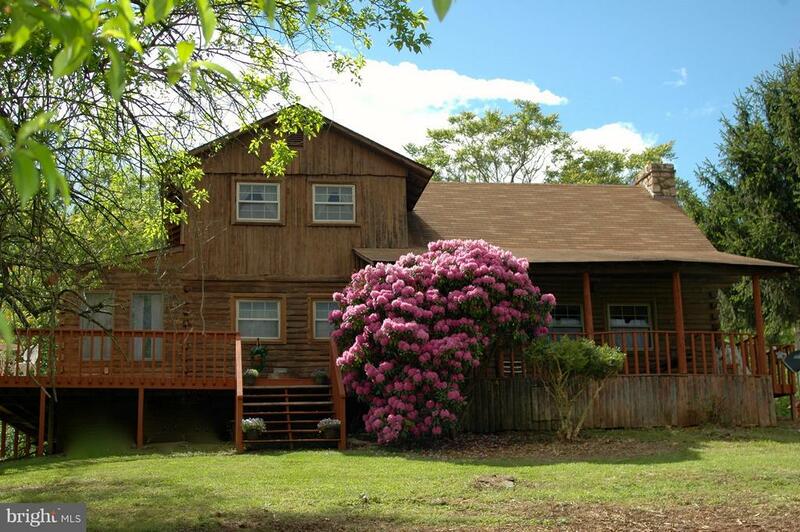 Four BR, 2-1/2BA, 3-level log-kit home, 2-story great room and loads of storage space. Raised stone hearths for Vermont Castings Woodstoves. Brick floors, stone mantles, beautiful choice of wood for flooring, paneling and trim provide the good ol' feeling of coming home. This could be the one for which you've been waiting." "At the foot of Blue Ridge Mountains and SN Park. 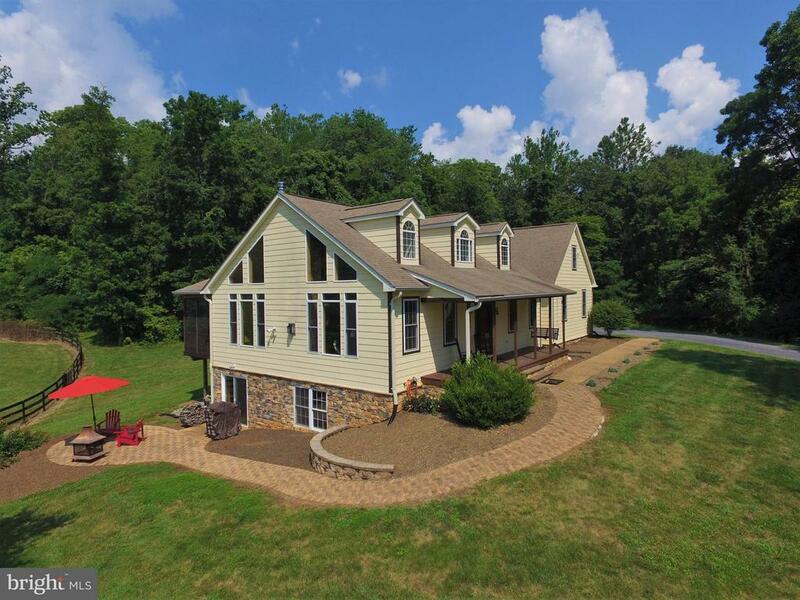 Contemporary farmhouse on 17+ acres with mountain views from great room, 3 bedrooms, 4 full baths, and plenty of space for guests with a complete in-law suite or guest apartment. Property includes a 6-stall stable, fully fenced pasture, a pond and two streams all surrounded by charming old stone walls. Renovated in 2016; whole-house generator incl." "Priced below County assessment! Tremendous opportunity!Young farmers, or anyone, any age, seeking to make a new life in the country, take note of this very special property. You can own your own 32 acre farm with approximately 20 acres of producing fruit trees, a large stocked pond, a restorable barn, and a comfortable 3 bedroom, two bath home at a price that is incredibly affordable. Do not pass up the chance to own this gem. With beautiful mountain views, this unique property offers peace and quiet, yet it is neither remote nor difficult to access. 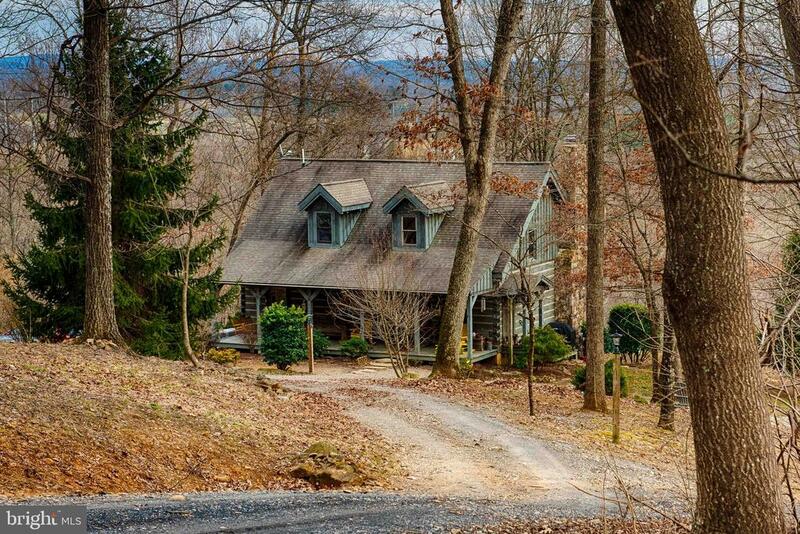 Less than fifteen minutes from Front Royal, High Places Orchard enjoys the privacy and serenity of rural living in desirable Rappahannock County with all the amenities of the larger community in nearby Warren County. The log home on the property, built in 1979, its perfectly located in the center of the farm to take advantage of its bucolic setting, with mountains in the distance and acres of orchard in the foreground. It perches on the gently sloped land fanned out below it. The home is well built and inviting, with a beamed cathedral ceiling and enchanting stone hearth and fireplace in the living room, a first floor master bedroom and bath, two bedrooms and a bath upstairs, a large sun room addition, and a wrap around deck. An office and laundry room/pantry are conveniently located on the first floor near the kitchen. The home is approximately 1930 square feet (Note: There is more square footage than is reported on some national websites!) The orchard, lovingly planted and cared for by the current owners~ parents, offers hundreds of apple trees, of numerous varieties, as well as many peach trees, pear trees, and cherry trees. The trees are of various ages, with some having been planted on the 1980~s and some as recently as this decade. Although they have not been pruned or sprayed since 2016, they are still producing large quantities of fruit and some sweat equity can return the orchard to full production capacity if "